This high school graduate used her love of cheese pies and garlic sauce to gain admission into Yale University. 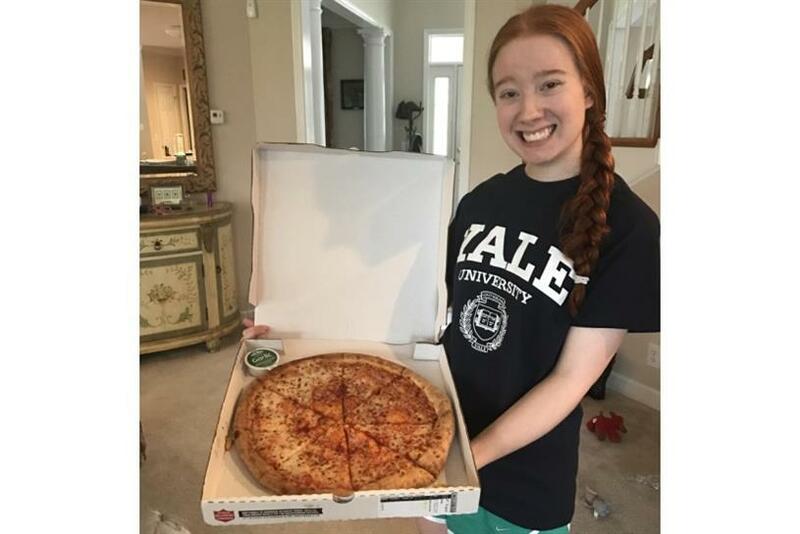 Papa John's Pizza is partly responsible for Carolina Williams' acceptance into Yale University. 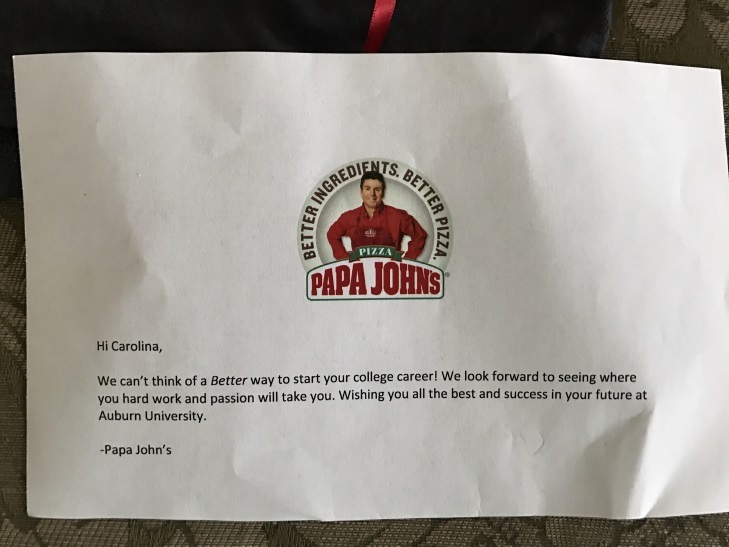 The high school graduate orders it once a week, so it was only natural that she write about the brand for her college essay. To answer the prompt, "Write about something you love to do," Williams described how she morphs "into one of Pavlov's dogs" when the Papa John's delivery person rings her doorbell. In fact, the admissions counselor was so inspired after reading Williams' essay that she immediately ordered a pizza. So, are you going to Yale? No. I applied to four schools—Yale, WashU, Samford (in Alabama) and Auburn—but at the time, I wasn't sure what I wanted. I was so honored to get accepted to Yale, and I really love the university. But after touring Auburn again, I just really felt like that was my home. I love the "Auburn Family," and I love the South! I can't wait to go there. When did you first taste Papa John's? I was probably 2 years old when I had my first Papa John's Pizza. My parents always gave me a ton of pizza when I was younger just because I loved it so much. 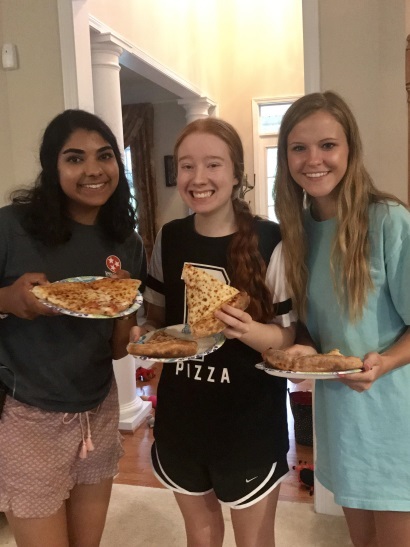 Why do you love Papa John's Pizza?br/>Papa John's Pizza has always been the best delivery pizza to me. It tastes amazing, and I love the deals and the garlic sauce. There's something special about it that always keeps me coming back. How do you show your love for Papa John's Pizza every day? I'm always talking about how much I love Papa John's, and I order it once a week. 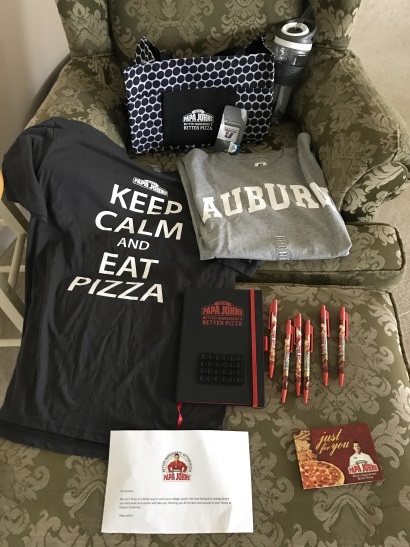 What's your coolest piece of Papa John's swag? 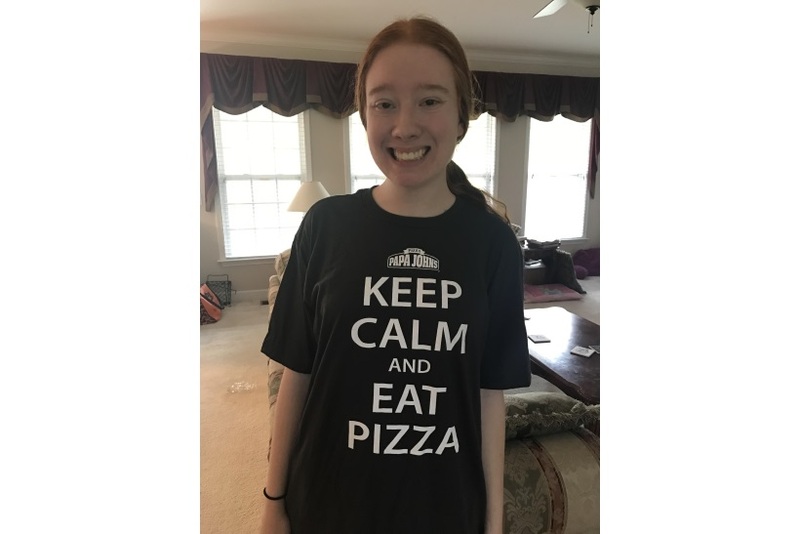 Papa John's sent me a shirt that says "Keep Calm and Eat Pizza" with the Papa John's logo on it. What's the nicest thing Papa John's Pizza has done for you? They gave me a year of free pizza and offered me an internship at their headquarters for next summer. I am so grateful! I have not accepted or declined yet since it is for next summer, and I will need to make sure I am available. But I am definitely interested and excited! If there was one thing you could change about Papa John's Pizza, what would it be? What's the one thing that would make you disloyal to Papa John's Pizza? I would be very sad if they stopped offering garlic sauce, but honestly, I would still eat the pizza. I love Chick-fil-A, too and have a Chick-fil-A phone case.